Sorry if anyone is now humming the famous Beatles tune in your head, but it was the best title I could think of at the moment. This image is yet another from last Saturday’s trip to the mud sale and I originally caught a glimpse of these four behind some buggies and hoped they would head my way, which thankfully they did. Once again I was a god distance away with a 400mm,which was perfect for not invading their space. 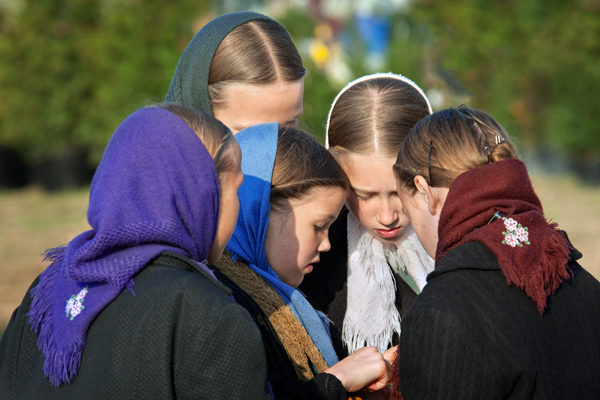 The beautiful blue bonnets are so lovely,and the middle girl is wearing the biggest safety-pin I have seen in a while. The three girls are actually the trio that I posted earlier this week, but I had no idea till I worked on the image. Saturday included the last mud sale that I usually attend each spring season in the area. It was very heavy overcast the entire day, so consequently I shot at iso 1000 the entire day so I could keep shutter speeds high enough. 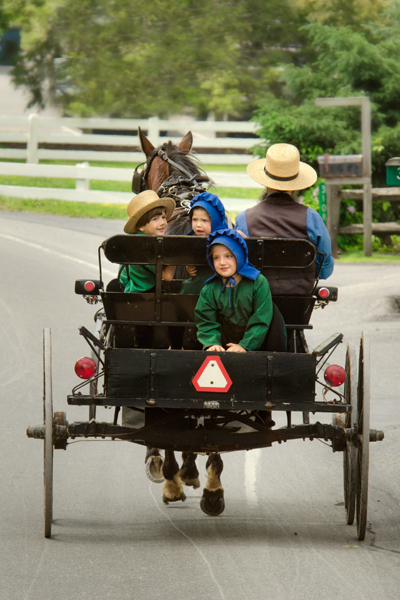 This trio of girls happened to lean on a wagon near me,and were totally engrossed in watching horses that were up for sale.I am fairly sure they are sisters, but can not be absolutely certain. 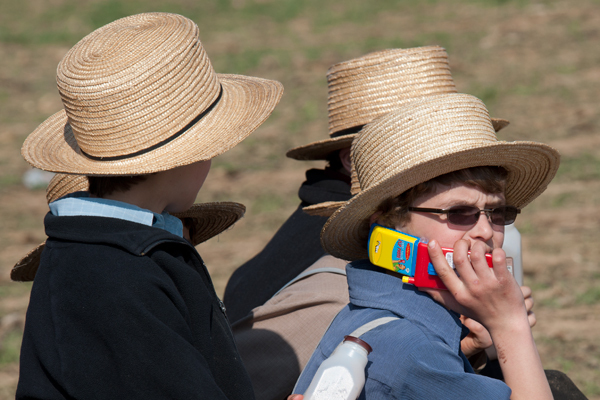 I photographed this group of young Amish girls and guys at the mud sale last week, and they were quite interested in this cell phone candy holder that was being sold at the sale food stands. It was a plastic case that resembled a cell phone ,but only held candy inside. 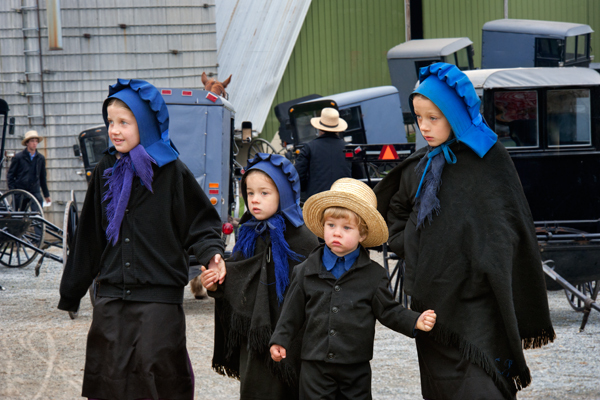 I saw several groups of Amish kids acting like they were making calls throughout the day, and the item was a big hit with them. 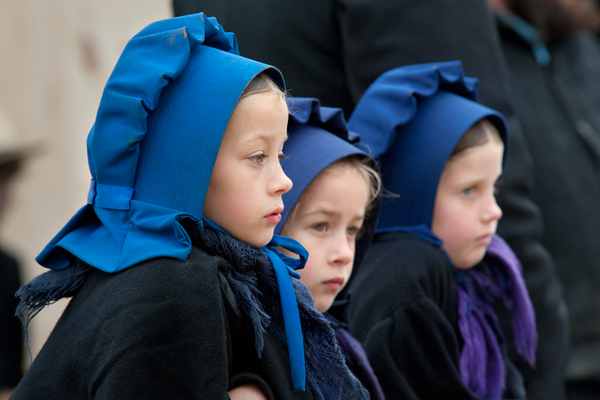 These girls wearing their colorful bonnets were immersed in looking at this interesting item. I added the boy using his candy filled cell phone at the last-minute so viewers can see it better.